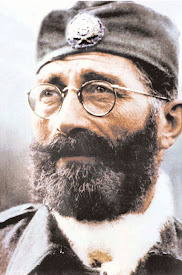 General Draža Mihailovich: The Sham of a Trial begins in Belgrade, Yugoslavia for General Draza Mihailovich / What the Enemy could not crush. 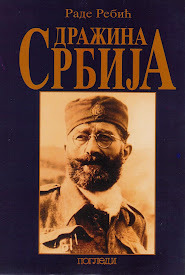 The Sham of a Trial begins in Belgrade, Yugoslavia for General Draza Mihailovich / What the Enemy could not crush. 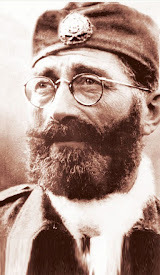 Aleksandra's Note: June 10th marks the anniversary of when the Mihailovich Trial began in Belgrade in 1946. 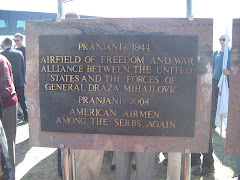 This trial would end in a "Guilty" verdict, a "Conviction", an "Appeal Denied", and an execution that would be carried out on July 17, 1946, only two days after the verdict and conviction were handed down. 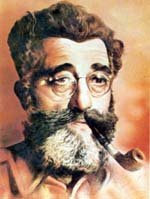 The trial was a sham, one of the biggest of the 20th century. It didn't last long by today's standards - just over a month. I'm convinced that General Mihailovich knew he was a "dead man walking" from day one, but he remained calm and testified and answered his executioners' questions, probably often drugged against his will in the process. 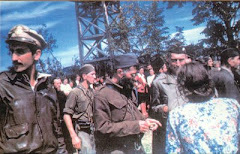 This was the communist way: They decided whether a man was guilty or not, whether or not he was indeed guilty, and then they had their show trial for the sake of protocol. Everything would be geared toward successfully completing a self-fulfilling prophecy. 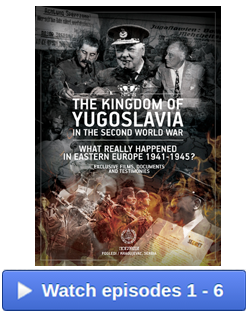 The Yugoslav authorities, Tito's henchmen, didn't let the American or other Allied airmen saved by Mihailovich and his Serbs in Nazi occupied territory in WWII Yugoslavia testify on the General's behalf, even though they were ready to move heaven and earth to do so. 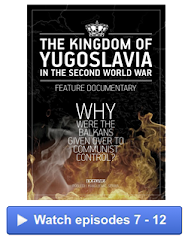 There was one area, though, where the depravity of the Yugoslav communists failed to succeed. The one mistake the communists made was underestimating how powerful the Mihailovich legacy would be. 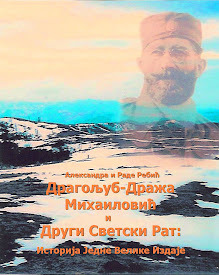 Though by design there is still no gravesite in Mihailovich's beloved homeland of Serbia to this day, 67 years later, and the remains have still not yet been found, the spirit of Mihailovich transcended his mortality. 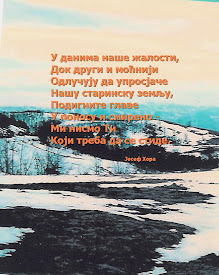 That spirit lives in America, in the patriot pockets of Serbia and the former Yugoslavia, in Canada, in Australia, in Great Britain, in Germany, everywhere... everywhere where free men and women and their descendants nurture it in their hearts. General Mihailovich, seen sitting in the front row, far left corner, appears so calm in this photograph below, taken inside the Belgrade courtroom in 1946 during his trial. That's part of the legacy, too - a personal dignity that was never crushed by the enemy, the kind of dignity that comes only from integrity, character, eternal strength, and faith. My thanks to Bob Ivkovic in Canada for sharing this photographic portrait of integrity, character, strength, and faith. 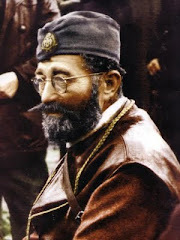 at his Belgrade trial in 1946 that would end in his execution. Photo courtesy of Bob Ivkovic.